A senior North Korean official was reportedly banished to a labour camp in the Hermit Kingdom after Kim Jong Un accused him of “breaching doctrine” in a proposal for US-North Korea talks, a report said. Han Song Ryol, once the North Korean vice foreign minister, was sent to a “reeducation camp” after he was removed from his position last year, a South Korean Unification Ministry official told Chosun Ilbo. Han was regarded as a veteran negotiator during US-North Korea talks. “We received information from an agency in the second half of last year that there were significant changes in Han Song Ryol’s status and reflected the developments,” a government source told the South Korean newspaper on Wednesday. 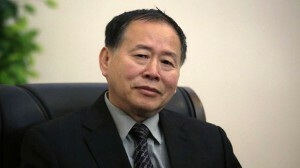 Han’s name has also been removed from the list of North Korean officials in 2019. Another source said Han and five other officials were sent to Komdok mine in North Korea’s South Hamgyong province where they will be reportedly forced into long hours of labour in mines, plantations and poultry farms. “It seems a proposal for US-North Korea talks he submitted to North Korean leader Kim Jong-un was criticised for breaching doctrine,” the source said. The White House announced earlier this month Trump and Kim will be holding a second summit in February, although the exact location has not been revealed. Trump has spoken several times of having a second summit with Kim early this year and has exchanged multiple letters with the North Korean leader despite little tangible progress on a vague denuclearisation agreement reached at their first meeting in Singapore last June. The summit will most likely address denuclearisation talks that have come to a halt since the summit in Singapore.